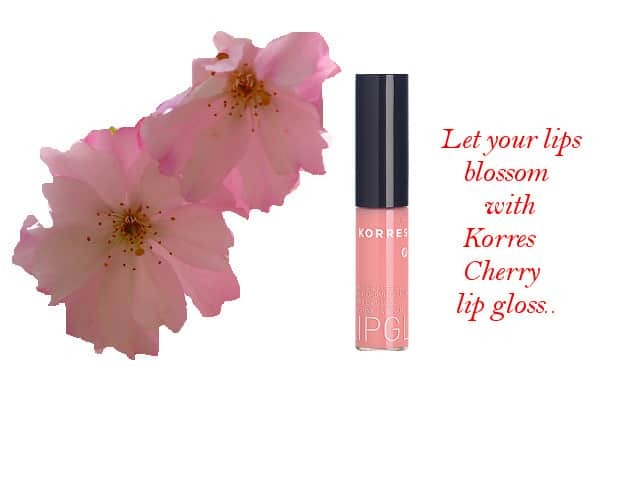 I have decided to write a review about Korres Cherry lip gloss because it has been one of my favorites for long time now due to its natural ingredients, beautiful colors and softy moisturizing effect it has on my lips. You can find it in 10 different colors, 3 of which I always keep in my bag and I will be showing you pictures later. All of these glosses contain cherry oil (that is why they are called cherry) which is rich in vitamins and antioxidants to keep your lips fully moisturized and protected from all kinds of deteriorating factors. Sometimes, even during the winter months I don’t need to use a good quality natural and organic lip balm since this lip gloss makes my lips soft and nicely hydrated, so that is how I have two products in one! One more thing that I like is that especially in the colors I have tried out the shine is not too intense and shows quite natural on my lips. What Is Korres All About? In 1992 George Korres, the founder of Korres natural products, after studying pharmacology and getting passionate with homeopathy, set up his own homeopathic lab based on international lab standards. Driven by his deep knowledge and understanding of the natural ingredients’ power, he started making and testing his own skin care formulations. In 1996, he gave birth to the Korres company which up until today creates a wide range of clinically tested natural and/or organic products that are environmentally friendly, quite affordable and of beautiful aesthetics. Moreover, most of the natural ingredients used in korres products are sourced in Greece whose fauna’s richness and diversity are well known with a number of natural products like Mastiha, Saffron and different species of Mountain Teas being sought after all around the world for their rich antioxidant, anti inflammatory and anti bacterial properties. What Kind Of Ingredients Are Used In Korres Natural Skin Care Products? Medicinal Herbs. Those are the ingredients whose knowledge Korres has been keeping since his pharmacy days, such as Achinacea, Calendula, Evening Primrose, Hypericum and others. Plants From The Greek Flora like thyme, olive, mastiha, sage and a lot more. Food Ingredients which have advanced skin care properties like greek yoghurt, honey and thyme. Natural Actives like natural antioxidants whose effectiveness has been proven by both international research programs and Korres’ own research and development lab. Up to now I have been using 3 colors of this lip gloss and these are: Korres cherry lip gloss 44 orange, 45 coral and 11 light pink. All of them contain moisturizing cherry oil as well as antioxidant vitamins E and C to protect lips against aging. When I put on any of the above on my lips, I get a very light feeling opposing to the one I get when I wear a lipstick or other lip glosses that feel like sitting on top of my lips. 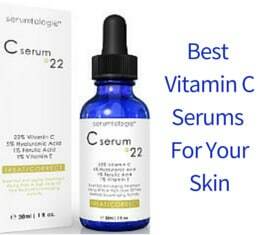 The natural ingredients get easily absorbed into the skin and I feel immediately the moisturizing effect. This is what I love about this lip gloss, that it doesn’t just add artificial color to my lips but moisturizes them, makes them feel soft with a natural looking glow, promoting their healthy, bright cherry red color. 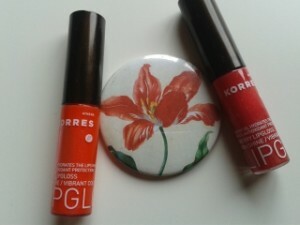 What Is My Favorite Korres Lip Gloss For Each Season? 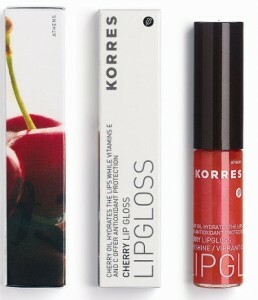 The orange Korres Cherry Lip Gloss (number 44) is my favorite one for the Summer. It is a really playful and vibrant looking color which just gets me in the right mood for Summer fun and excitement. It gets also perfectly combined with my tan. I loved it because it gave my lips that nice reddish color which makes them look naturally pretty and toned. So, one more addiction I guess! For the Spring I have my beautiful light pink (number 11) which really makes me look fresh and ready to flourish. Spring comes with a feeling of invigoration that makes me want to leave my skin as plain as possible and this lip gloss makes it easier for me to achieve that look. 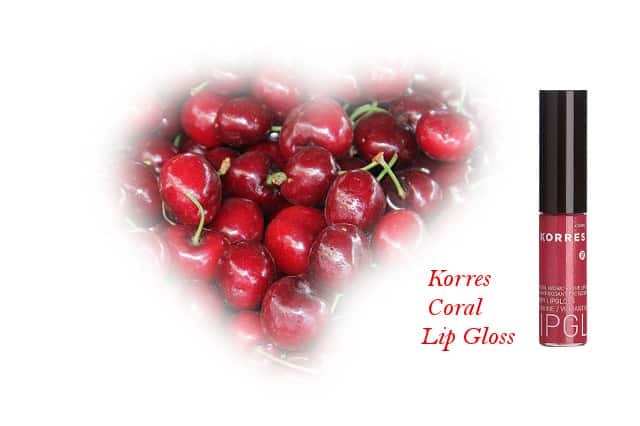 What do Korres Cherry Lip Gloss Reviews Say? All the reviews range from 4 to 4.5 and 5 stars. 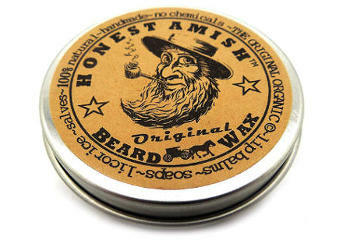 Women are very pleased with the quality of the product and with the effect they get on their lips. They mention that it stays on their lips well, that the cherry oil conditions, moisturizes and protects them even during winter months. The texture is one more plus since they don’t feel it sticky. The smell is great and the color shows naturally beautiful. 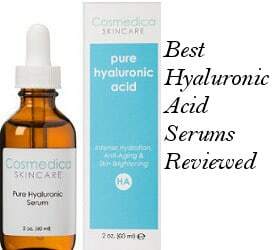 Amazon has different prices for this product which most of the times are better than Korres official site. But in a few cases I have noticed that Amazon doesn’t mention the number or color of the lip gloss, so you might find it difficult to find the one you are looking for if you are not aware of the colors. If you want to be sure, you can first visit korres official site which by the way has the colors but you just have to imagine them a bit more intense than what they really show up there. Here, I will be helping you out with the lip glosses I myself have and I know which ones are on Amazon. I have also shown above pictures of my two lip glosses and might be updating with more later so that you can have a more precise idea of the actual colors.